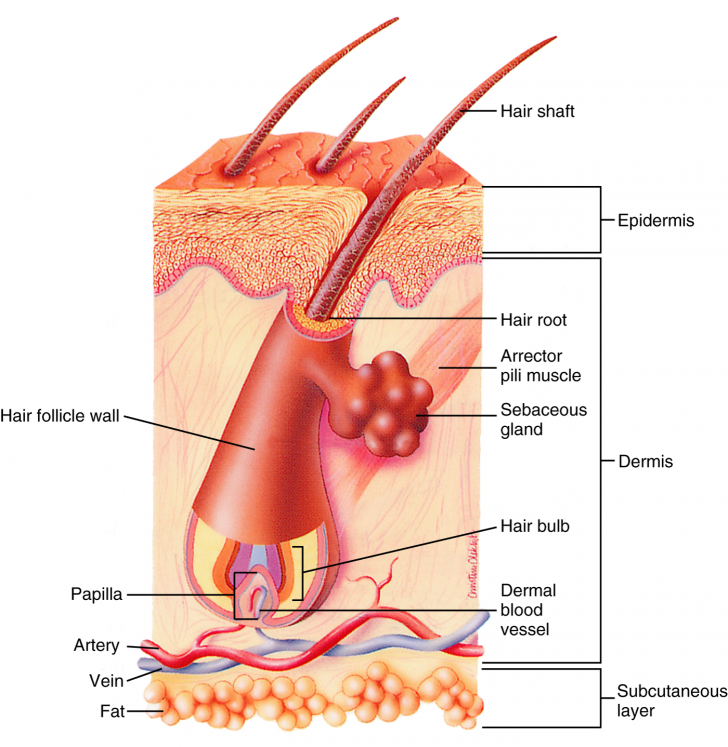 Below the surface of the skin is the hair root, which is enclosed within a hair follicle. At the base of the hair follicle is the dermal papilla. The dermal papilla is fed by the bloodstream which carries nutrients to aid the production of new hair. The dermal papilla is a structure very important to hair growth because it contains receptors for male hormones and androgens. Androgens regulate hair growth and in scalp hair androgens may cause the hair follicle to get progressively smaller and the hairs to become finer in individuals who are genetically predisposed to this type of hair loss.